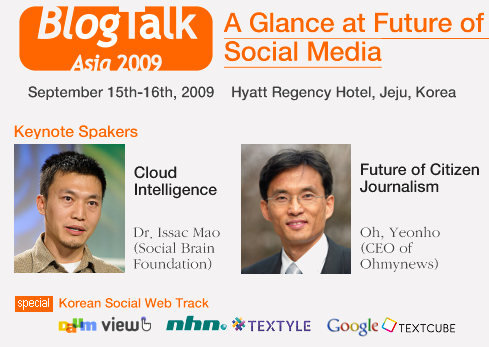 BlogTalk 2009 has successfully finished with over 60 international attendees. We enjoyed some high quality presentations in various topic areas, as well warm weather and good meals. Some videos, photos and presentations from the event have been shared with you via the links below.